Re-Play feeding essentials are made from recycled milk jugs. How cool is that? Their products are also made in the USA. Re-Play products reduce greenhouse gases and save energy. Plus their products are super cute! 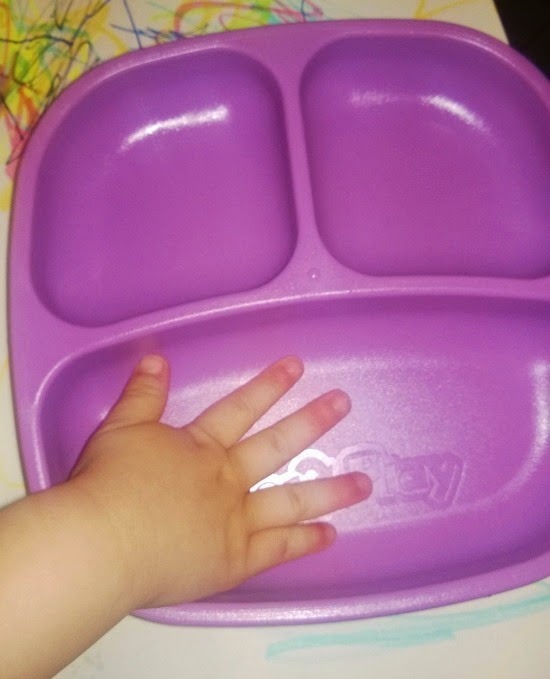 We received the Re-Play Divided Plate in purple which retails at $7.99. It is very sturdy and saves my dinner plates from being broken. My daughter who recently celebrated her 2nd birthday enjoyed some Ice Cream cake in her new plate. We also received the utensils. Which are great, because I get nervous when my daughter tries to use a regular fork. 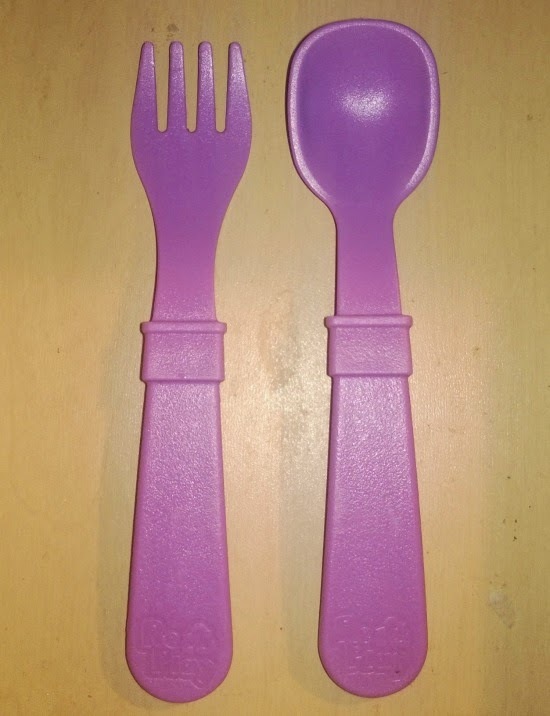 These utensils are great to learn with. Re-Play also has cups, teething rings, bowls and snack stacks. You can check out their shop here. I like that the milk jug plastic is considered one of the safest, toxin free plastics. I also enjoy brands like Re-Play because they help my family in the movement to "Go Green". I personally do not use a dishwasher but it is good to know that their products are dishwasher safe. Like them on Facebook and Follow them on Twitter. Do you buy brands that are environmentally friendly?